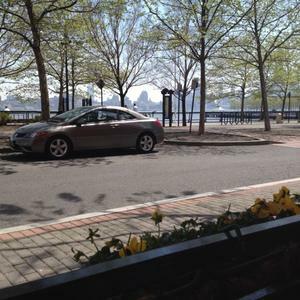 At Trinity, a delightful outdoor Hoboken, New Jersey lunch spot perched on the edge of the Hudson River, I met with Sasha and Samantha, owners and co-founders of United Scents of America. (A Collabor-fave fragrance company!) Over chicken fingers and martinis, the ladies told me about the start of their company, the great personal story behind their scents, and what we can expect from them in the future. Sasha and Sam met over two years ago when they both worked for the same fragrance distribution company. The ladies decided that they were sick of celebrities attaching their names to generic fragrances, and wanted to create a personal, memorable collection. 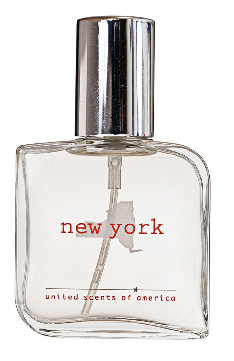 Their love of perfumes and entrepreneurial spirits collided, and United Scents was born. “We wanted to have a story behind the line instead of being another kitschy perfume,” says Sam of their motivations. They each put their different backgrounds (Sasha: working for fashion brands like Catherine Malandrino; Sam: advertising and marketing for cosmetics brands like Stila) to good use and developed the concept. As any start-up will tell you, putting the plan into action wasn’t easy. A grand idea for a 50+ perfume launch was incredibly daunting, and the duo had trouble finding manufacturers who took them seriously. By fate, they were introduced to a fragrance packager who is now their mentor. They became involved in every aspect of the process: from testing out smells to getting the products in the hands of the country’s biggest beauty writers (and mine!). Sam and Sasha continue to do most of the company’s work themselves: including painstakingly putting together their sample vials. They fill the vials using eyedroppers, and attach them to their info sheets by hand. “We hole punch the vials until our little thumbs bleed!” laughs Sasha. Sam is particularly passionate about creating a “comeback for U.S. brands, especially in the cosmetics industry.” It is extremely important to United Scents that their products are made in the U.S.: the perfume itself is made in Cedargrove, NJ and their labels are manufactured in California. Each box is signed “Love S&S,” bringing that personal touch to every facet of production. Each bottle captures the essence of its state. All scents are unisex and wildly popular. The first 5 releases (NJ, NY, TX, FL, and CA) were meant to cover most of the country’s major cities in terms of social and cultural relevance and population. And chances are, if you live in any of these places, you’re a transplant from somewhere else. That’s where the nostalgia aspect comes in. For some, these bottles can magically house the smell of home. They can also remind you of where you went away to college, where you spent your summers, or of starting a new life in America. Sam and Sasha gathered testimonials from focus groups of fragrance-istas from the states in their line in order to determine their scents’ major notes. The smells directly translate into hometown memories. Each bottle is another step toward recapturing state pride! Sam went to college in Massachusetts and is itching to include her interpretation of its essence in the next United Scents release. We can look forward to new launches (in batches of 5 states) every year or so. I got to sample the next state’s work-in-progress (mum’s the word until the news officially breaks!) and was immediately hooked. Want your state to be part of the next lineup? United Scents is listening to your requests! Sound off in our comments below or send out a tweet with your thoughts to @unitedscents.